From the makers of the “Taken” trilogy comes “Transporter 4 Refueled” – a total reboot of the franchise starring “Game of Thrones’” Ed Skrein in the titular iconic role. 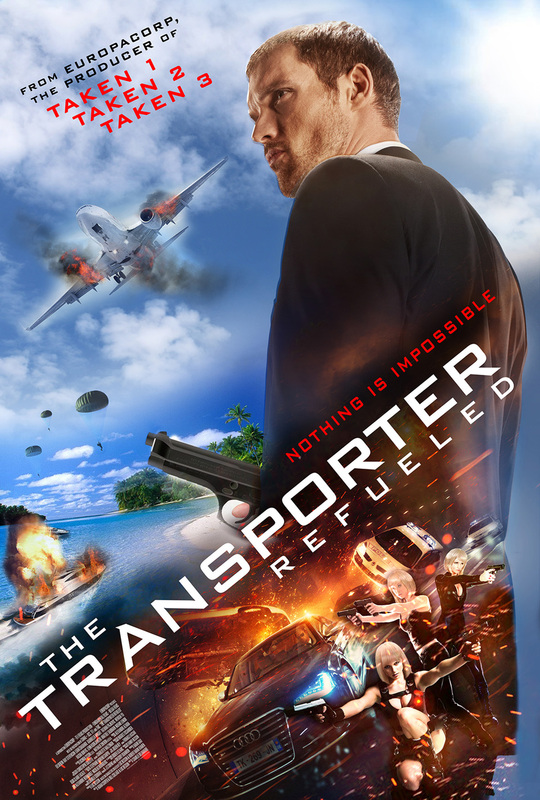 No-brakes and an accelerated action extravaganza, “Transporter 4 Refueled” finds Frank Martin now living a less perilous life transporting classified packages for questionable people. But the normalcy is suddenly interrupted when his father (Ray Stevenson) pays him a visit in the south of France, their father-son bonding weekend takes a turn for the worse when Frank is engaged by a cunning femme-fatale, Anna (Loan Chabanol), and her three seductive sidekicks to orchestrate the bank heist of the century. Frank must use his covert expertise and knowledge of fast cars, fast driving and fast women to outrun a sinister Russian kingpin, worse he is thrust into a dangerous game of chess with a team of gorgeous women out for revenge. Ed Skrein, an upcoming lead actor who also takes on a major role in the upcoming “Deadpool” movie, takes on a fresh and all-new personification of the iconic ‘Transporter’ role of Frank Martin that re-launches the high-octane franchise into present day and introduces it to the next generation of thrill-seekers. Non-stop drive begins when “Transporter 4 Refueled” opens this September 2 from Pioneer Films.